Do you want to easily and quickly find your way to your favoritecompetitions without ever getting lost? This is your app! 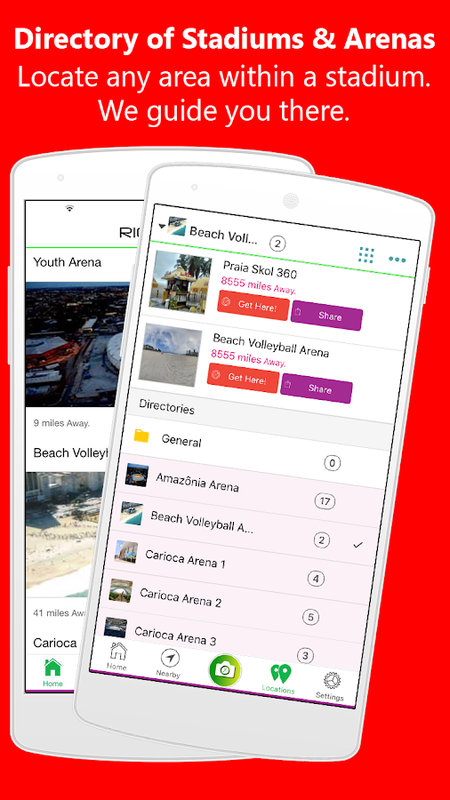 Rio Guide2016 (powered by PointX)This app will guide you to all the Stadiumsand Arenas in Rio de Janeiro during the Summer Games in 2016. Also,you can save any location and get back to it even if there is nocell service or map available using our Radar Technology. Never belate for any your favorite competitions. No cell service? Noproblem! Our self-guiding Radar technology will show you thedistance and direction to your destination, even if you're phone isin airplane mode. If you have cell service, you'll get turn-by-turnmap navigation to the venue. Once you are close by, switch over tothe Radar and we'll guide you the rest of the way. You can also usethis app to save any location, such as your hotel, your car or anewly discovered restaurant, and our Radar will get back to thatsame spot. Simply snap a photo of that location with the Rio Guideapp and give it a title. When you're ready to get back to thatlocation, just tap on the photo from the Locations page and theRadar will guide you back there. If you have cell service or a wificonnection available, you can share your saved locations with yourfriends so they can get there as well, even if there is no map orphysical address at the place. This is great for meeting up withyour friends in the middle of a park or at the beach. Our Nearbyfeature will show you all the businesses in your area and guide youthere with the tap of a button. We have also included a directoryof the top tourist attractions in Rio de Janeiro that you can enjoyduring your stay. We hope you enjoy the Summer Games! Find places that are hard to find! PointX is the walking app thatgets you to close by saved locations, or a meet up spot with afriend, when maps are not available. Have you ever lost your car ina huge parking lot? Did you ever have trouble finding your friendsat a concert or sports event? PointX is best in areas likeconcerts, parking lots, shopping centers, amusement parks, thebeach or anywhere else where there are no maps to guide you to yourdestination. You drive to the area and once you are out of yourcar, we'll get you the rest of the way. Driving directions can onlyget you to the street. PointX gets you to the meeting spot withyour friends, the front door of the nearby business, or yourparking spot in a huge lot. When you're outdoors camping or hiking,even if cell service is weak or unavailable, PointX will always getyou back to where you started. Although PointX can be usedeverywhere, it works best in outdoor settings since it is poweredby GPS. We hope you enjoy PointX! Find places that are hard to find! PointX is the walking app thatgets you to close by saved locations, or a meet up spot with afriend, when maps are not available. Have you ever lost your car ina huge parking lot? Did you ever have trouble finding your friendsat a concert or sports event? PointX is best in areas likeconcerts, parking lots, shopping centers, amusement parks, thebeach or anywhere else where there are no maps to guide you to yourdestination. You drive to the area and once you are out of yourcar, we'll get you the rest of the way. Driving directions can onlyget you to the street. PointX gets you to the meeting spot withyour friends, the front door of the nearby business, or yourparking spot in a huge lot.When you're outdoors camping or hiking,even if cell service is weak or unavailable, PointX will always getyou back to where you started. Although PointX can be usedeverywhere, it works best in outdoor settings since it is poweredby GPS. We hope you enjoy PointX Pro! ApproachMe is the easiest and simplest way for you to find eachother in crowds and track where everybody is, in real-time, whileyou're trying to meet up. Using our Live 3D Grid and Radar system,you can easily and securely meet up with family & friends inplaces such as downtown restaurants, concerts, sports events,shopping centers, festivals, parking lots, amusement parks, etc.Simply create a meetup by selecting friends and then select alocation anywhere, even if there is no address available for whereare you meeting up. That’s it! An hour before the meetup time,everyone who accepted the meetup will be able to view whereeveryone else is, how far away they are, and get directions to themeetup. If the meetup is not on a map or does not have a physicaladdress, then our 3D Grid and Radar system will guide you the restof the way. You always have the power and control to leave a meetup whenever you want. All meetups are defaulted to expire after 12hours unless you choose to end or extend them. Disclaimer:Continued use of GPS running in the background may dramaticallydecrease battery life. However, efficient programming maximizes thebattery life during the use of the app. Advantages of theApproachMe® Live, Self-Guiding System: 1) Know where everyone inyour group is – even in a crowd! 2) Can be used anywhere atanytime. 3) Freedom to move around when meeting rather than wait inone place. 4) Perfect for noisy and crowded areas where calls maynot be heard. 5) Works in real time. 6) Notifications to tell youwhen your family or friends are close by. 7) Your privacy is secureand protected. * Although our Radar can be used everywhere, it hasbeen optimized for outdoor use such as at a concert, sportingevent, fair, amusement park or downtown area. We are bound by thestrength and availability of GPS Satellite Signal strength, andmagnetic interference levels above normal. Identity & PrivacyProtection Features: We do NOT ask for any private information. Weonly verify your phone number via text to ensure security andcredibility. All you need is a screen name and any profile photo touse the app so your friends & family will recognize you whenyou send them an invitation to meet up with them. We do not shareor sell any data or track any behavior beyond what the app isintended to do. 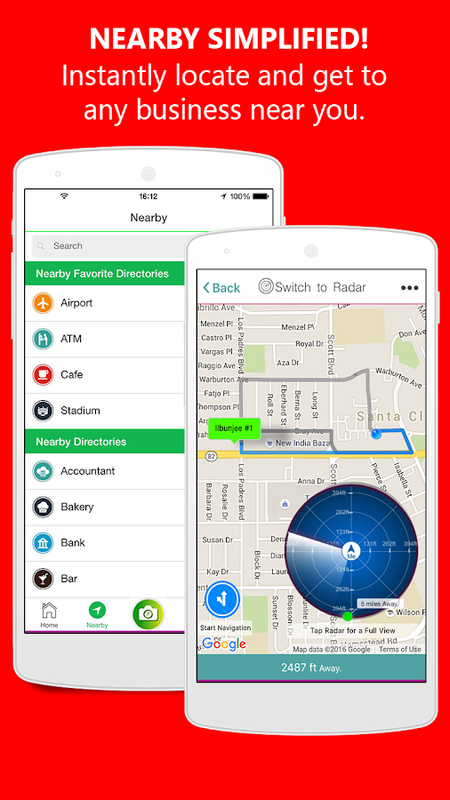 Approachable™ is a Real-Time, Self-Guiding Radar app that makes iteasy, secure, and fun to find each other in crowded areas andsituations where maps are impractical or nonexistent. Using ourRadar system, you can easily and securely meet up with family &friends in places such as concerts, sports events, shoppingcenters, festivals, parking lots, amusement parks, etc. It workseven if everyone is moving around, which eliminates the frustrationof wasting time waiting for the others to arrive. Once they are inclose proximity, you will be alerted, and easily guided to eachother.Best of all, Approachable™ does not require giving up anypersonal information. Your privacy is always protected.Disclaimer:Continued use of GPS running in the background may dramaticallydecrease battery life.Advantages of the Approachable™ Live,Self-Guiding Radar (SGR):1. Eliminates the frustration of waitingaround for others to arrive at a fixed location. WithApproachable™, you can determine exactly how far away everyone is,and you will be instantly notified once they are in closeproximity.2. Once you and your friends accept the Meetup request,you will be able to find each other using our Self-Guiding Radar,whether you are standing still or moving around. This allows youthe freedom to walk around to different places without fear oflosing sight of each other.3. You’ll never have to text or call,“Where are you? !” ever again. Our Radar constantly updates yourlocation, allowing you to easily find each other. In noisy, crowdedareas like concerts or fairs, calls may not be heard and receptionmay be poor, thus making communication very difficult. Our Radarworks in the background so users do not have to be activelychecking their phones at all times.Maps or navigation systems willget you to the event. Approachable™ will help you find each otheronce you are there! The live Radar will show your direction anddistance, and guide you straight to your Meetup. * Although ourRadar can be used everywhere, it has been optimized for outdoor usesuch as at a concert, sporting event, fair, amusement park ordowntown area. We are bound by the strength and availability of GPSSatellite Signal strength.Identity & Privacy ProtectionFeatures:We do NOT ask for any private information. We only verifyyour phone number via text to ensure security and credibility. Allyou need is a screen name and any profile photo to use the app soyour friends & family will recognize you when you send them aninvitation to meet up with them.No one will ever find your locationor locate you without your permission for each session. Eachsession expires automatically, even if you forget to delete it, andyou can leave a session anytime you want.Your contact list is onlyused by you to send requests to your family and friends so you caneasily and privately find each other. WHAT IS BRISKLY? The simple and easy way to get amazing privatedeals from local places you love! Briskly is the app where localbusinesses create exclusive deals just for you. No coupons, promocodes, or limited happy hours. Simply download the app, and browsegreat new deals just sent by local businesses. Grab them and enjoythe savings! Here’s why you should feel good about using Briskly:IT’S A WIN-WIN Businesses have opportunities throughout the day tosave you money but haven't been able to let you know… until now!With Briskly, businesses create and make these deals available whenit is convenient for you to take advantage of them. DIRECTRELATIONSHIP WITH THE BUSINESS There is no middleman. All Brisklydeals are created by the businesses and sent to you directlythrough the app. The transaction happens between you and thebusiness. They make a sale, and you get the discount. DEALS AREEXCLUSIVE & ONGOING Briskly deals are created by businessesthemselves and can only be found in the app. Briskly Deals are notcoupons or one time promotions for single items. Businesses createdeals that you can find today, tomorrow, or next week for any oftheir services or products. PRIVACY Briskly relies on your currentlocation in order to send you the best and most relevant deals fromnearby businesses. Your location will only be shared privately withthe businesses you reserve deals from, and location sharing endswhen you arrive in person to redeem the deal. Location sharing willalso be immediately ended if you decide to cancel your deal. Promoting your business or sharing your ads just got a boost.Simply snap a photo of your ad or your business with eOpen App,then post it or share it. Any place it appears it will have a builtin location finder to get your customers to your exact location,even if you are a mobile business without an address. 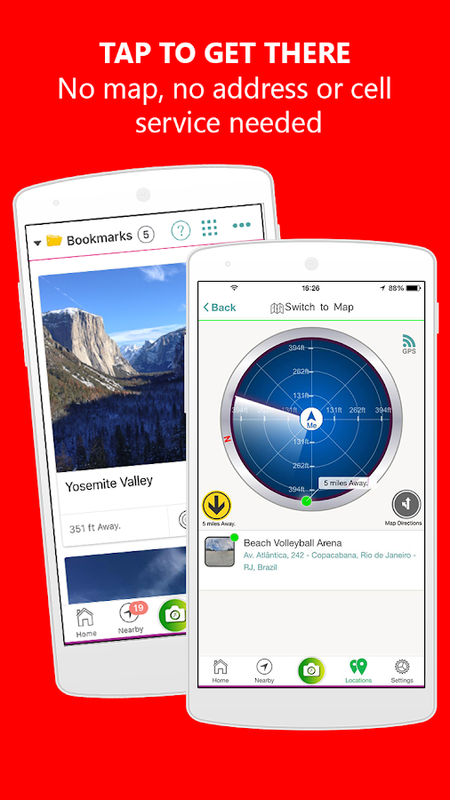 Our Radarguide will get your customers to your exact location anywhere inthe world. Why Briskly Biz? • Briskly is the smarter and easier way to turnslow hours into sales. • Create and blast out private deals tonearby customers within seconds. You control the quantity, thediscount, and the duration. • Get rid of extra inventory andoverstock, fill empty seats, and drum up business whenever youlike. • Receive a free supply of marketing materials that includesposters, cards, and door stickers to post at your place ofbusiness. Customers can download the app to see deals with your ownunique code. Key Advantages: • Free to use. No obligations. • Onlypay for customers brought in by Briskly. • Costs less than a creditcard transaction. • Replaces expensive marketing tactics likecoupons, promotions, and costly advertising. • Immediate exposureto nearby customers. • Send deals from any of your businesslocations in one easy step. • Ideal for mobile businesses,including food trucks. What can Briskly Biz do for you? • Keep yourcurrent customers coming back. • Let new customers know about yourspecials. • Bring customers in during slow hours. • Fill emptyseats. • Sell extra inventory quickly. • Advertise and announcelast minute specials. How much it costs: • At no cost to you, wewill broadcast your deals to as many nearby customers as possible,both your current and new ones. • Only pay for customers we bringinto your business directly for the specific deal you send. • Yourcost is 2% of the completed transaction, or $0.50 depending on thetype of transaction. • You will be billed at the end of the month,or once your account reaches $100, whichever comes first. • You canview the history and transactions, both redeemed or claimed at yourbusiness, on your dashboard. Parrots From Rio Wallpaper Parrots From Rio Video Live Wallpaper -The most efficient video live wallpapers that runs smoothly onAndroid devices. Amazing colorful parrots from Rio de Janeiro(Brazil). Features: Optimized memory usage Saves to the SD card bydefault Adjustable speed (frame rate) Do not affect batterylifetime Compatible with smartphones and tablets Free! BONUS: nicewidget! FEEDBACK: If you have any suggested features orimprovements please leave a comment, or send email. Please postcomments and feedback. When posting low rating please describe whatis wrong to give the possibility to fix that issue. NEWS: Twitter:https://twitter.com/mobimixlwp FB:https://www.facebook.com/Ezzardel TO INSTALL: 1. Install videowallpaper from Play Android market; 2. Go to Home -> Menu ->Wallpapers -> Live Wallpaper Personalize your smartphone withthis beautiful live wallpaper! ADS INFORMATION: To develop morefree great video live wallpapers, we have implemented some ads insettings. Storyboard transforms your videos into comics. 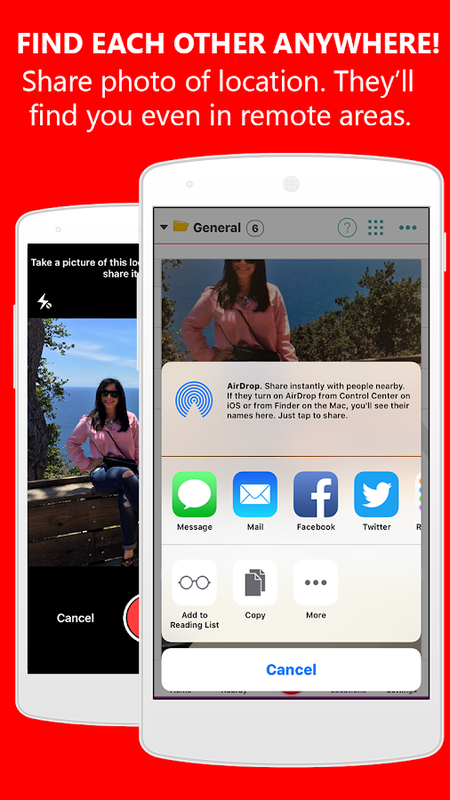 It selects, laysout, and stylizes video frames using experimental researchtechnology from Google that runs entirely on your device.TO USE THEAPP1. Load a video.2. Pull down to refresh till you get a layoutyou like.3. Tap to share or save. That's it!PLEASE SHARE YOURFEEDBACKStoryboard is an "appsperiment" that relies on technologiesunder active research at Google, so its performance may varydepending on your device. You can help shape its future developmentby giving it a try and letting us know what you think.